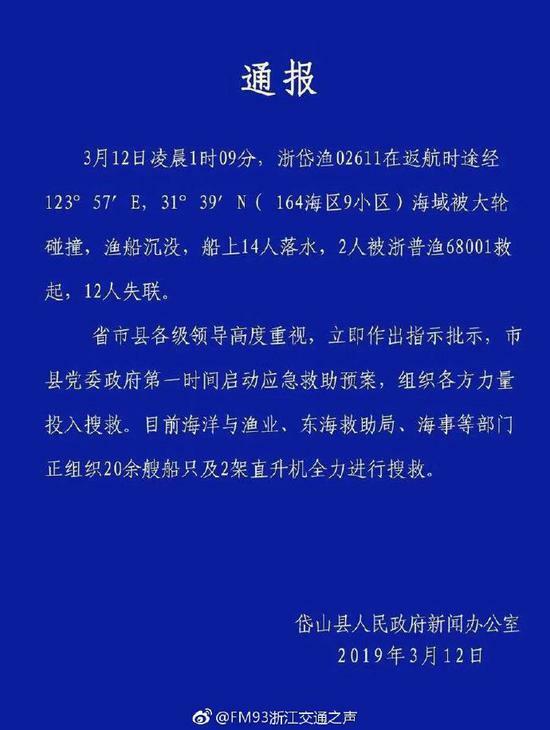 HANGZHOU, March 12 (Xinhua) -- Twelve people were missing after their fishing boat collided with a ship and sank early Tuesday morning off the coast of east China's Zhejiang Province. Local authorities said 14 people on board the fishing boat fell into the water after the accident at about 1 a.m., and two have been rescued. Officials said they have mobilized vessels in the proximity to join the search and several rescue ships have been sent to the area.